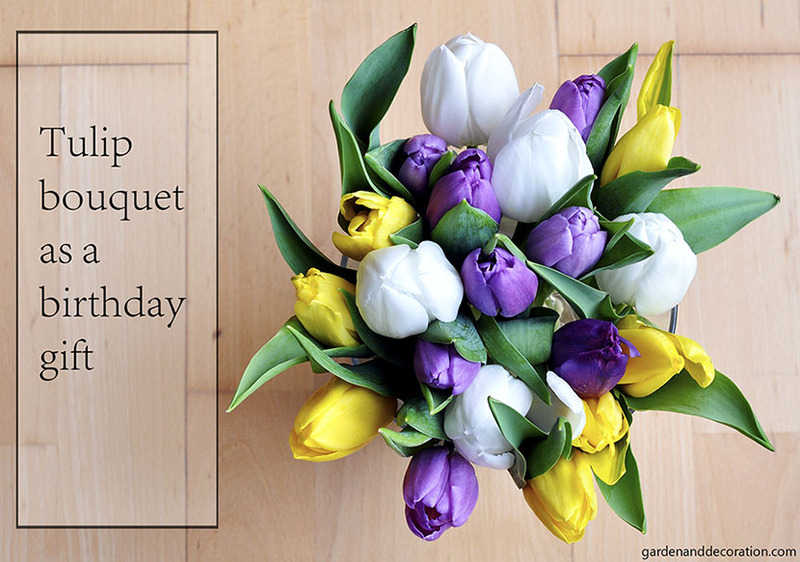 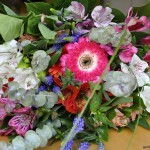 This quick and easy bouquet idea is perfect when you want to give flowers as a birthday gift (or for other occasions). 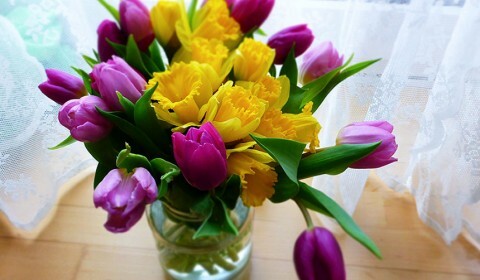 I like the combination with yellow, purple and white tulips. 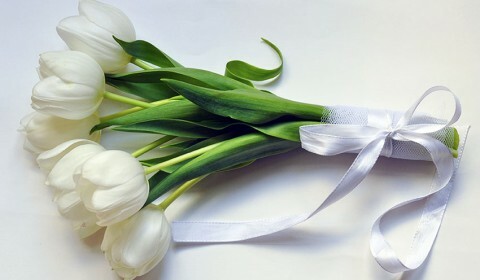 Tulips are always a good option and you can play with so many colours. 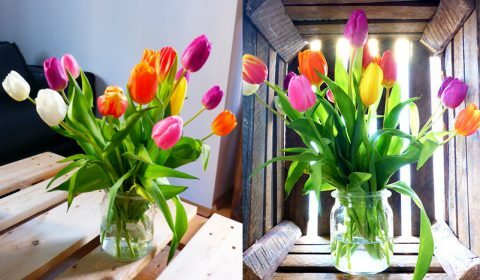 Be creative 🙂 .